We've just spent my Birthday Week (yes, I get a week) at Centre Parcs in Nottinghamshire. We had a great adventure week doing everything from the water park to miniature golf, learning to fire a crossbow, to quad biking, falconry, boating, and quite a few trips to their lovely spa. On the way to Centre Parcs I dragged Cinabar to Warhammer World. I've been a collector and war gamer for many years, but never visited the hub of Games Workshop, so it was a bit of a pilgrimage for me. 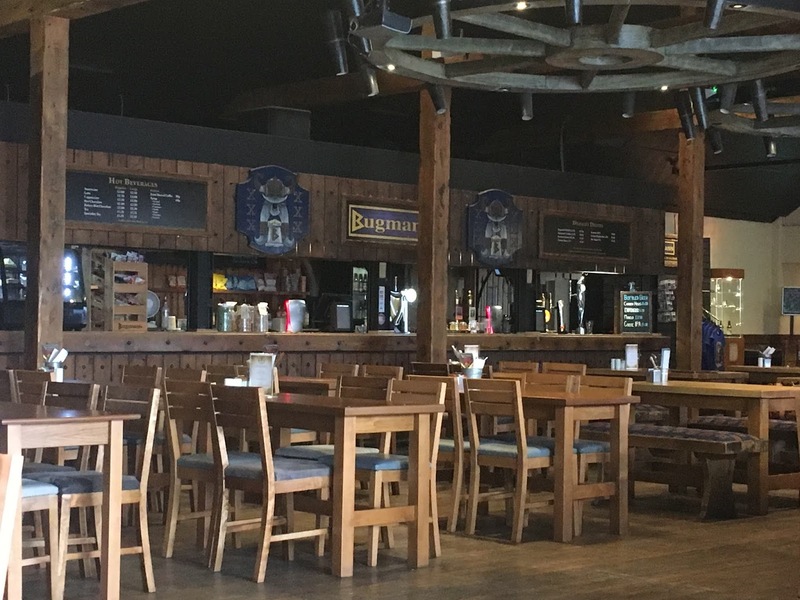 After getting several treats for my Birthday and wandering around the war gaming tables, we stopped off at Bugman's Bar for a spot of lunch. The bar itself is Dwarf themed in Games Workshop's branded Bugman's style with a few of Bugman's Beers on tap. Cinabar ordered a fish finger sandwich, and I had a Bacon Lettuce and Tomato sandwich. 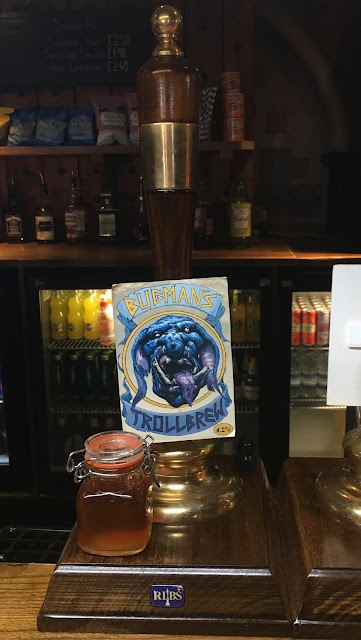 I couldn't help but order the Troll Brew from the rather ugly image on the pump handle. Although the bar suddenly became very busy after Cinabar's empty bar photo our sandwiches arrived pretty quickly. Both sandwiches came with a tub of really nice chips, and there was plenty of sauce on the side. 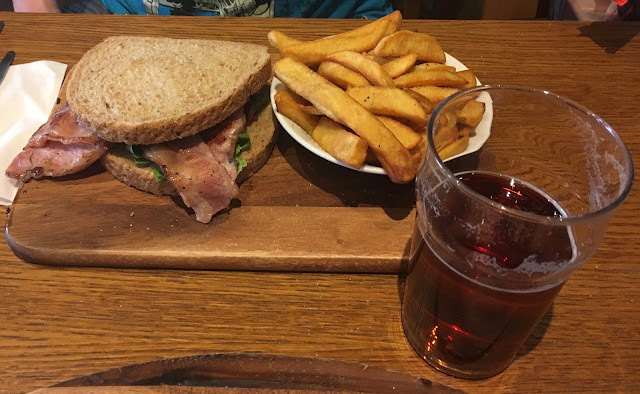 It was a huge portion served on a wooden board. There was a lot of bacon in my BLT, some diced onion, and chopped tomatoes. 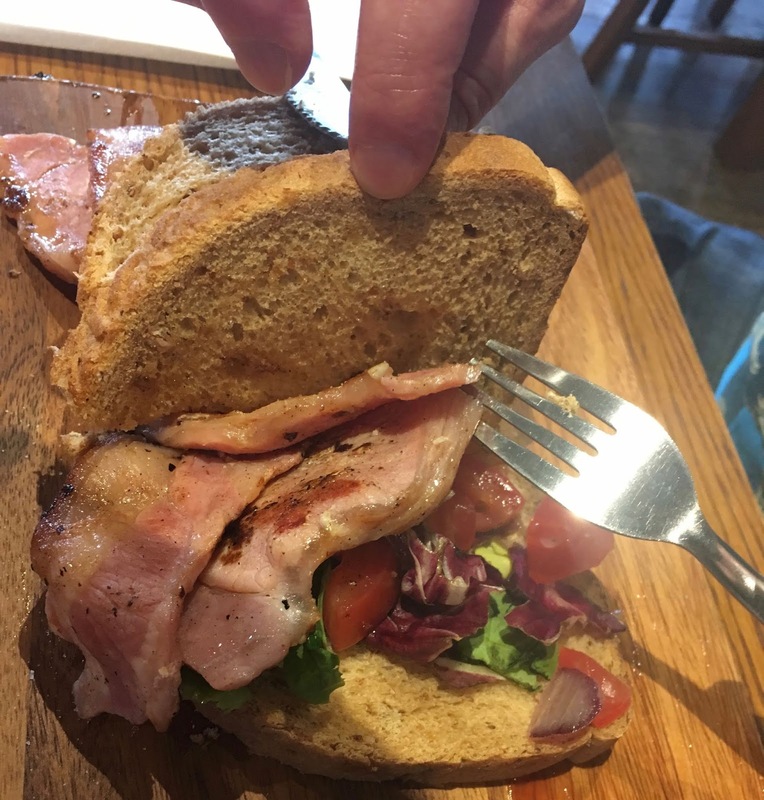 The bread was pretty soft and thick, and my sandwich was very tasty with its decent supply of bacon. Cinabar loved her fish finger sandwich too. There were a few tables filled with people playing various board games, such as Blood Bowl, and I could well imagine a group of dwarf adventurers sitting down for something to eat. Although as you can see the bar is quite high, so they may have to stand on tiptoes! The music was metal and not too loud, with a good balance for talking. Some restaurant's music can be too loud for people to chat, whereas a meal out is supposed to be a gathering.The toilets were refreshingly labelled Ladies and Gentlemen too, not anything weird that could confuse the desperate. My Troll Brew was a good strong amber ale at 4.2% in volume. There were floral undertones in the aroma. In taste there was sweet amber malt to start with, which was followed by bitter herbal hops into the aftertaste. It was not a fruity beer, it was quite bitter, but you'd expect that from Troll Brew. Having said that it was really nice, washed my sandwich down a treat and I would definitely have it again. Somebody wandered past me with a San Miguel. 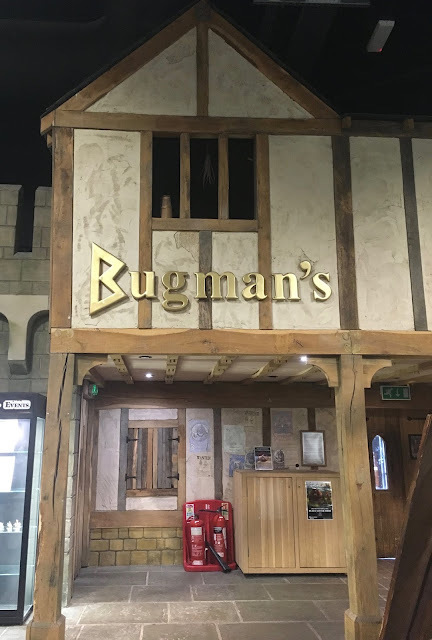 I couldn't understand it, why wouldn't you drink Troll Brew if you have the chance to travel to Bugman's Bar?